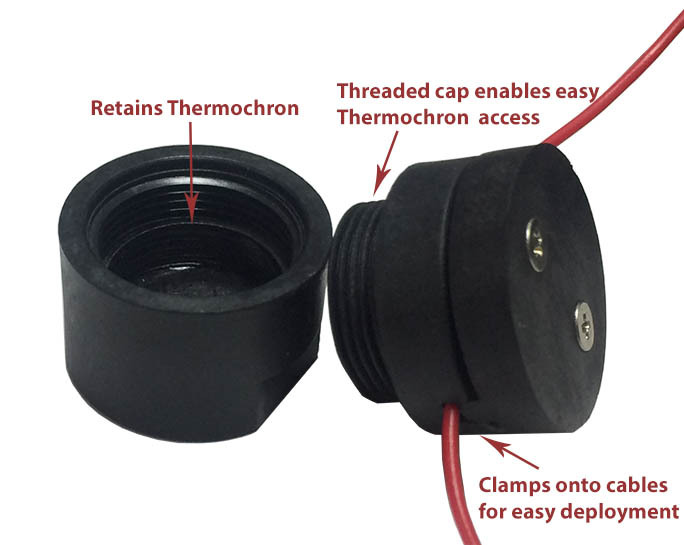 The iButton Capsule is a mechanical enclosure designed to protect Temperature Logger iButtons (DS1921 and DS1922 series) from moisture, solvents and pressure. 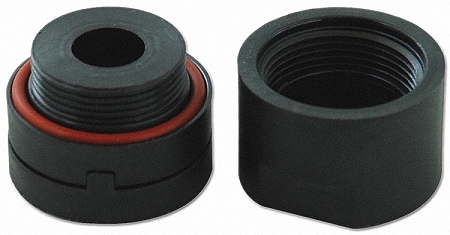 The device consists of a base with the cavity for a F5 iButton, a screw-in plug with O-ring to seal the enclosure, and a top with two stainless-steel screws to mount the iButton Capsule to a cable, e.g., to measure temperature at different levels within a liquid. The cable is inserted into the notch of the plug where it is held in place by the matching protrusion of the top piece. Base, plug, and top are made of polyphenylene sulfide (PPS). This material is chosen for its mechanical properties (remains stable during both long and short-term exposure to high temperatures), inherent flame resistance, and outstanding chemical resistance (inert to steam, strong bases, fuels and acids). Although PPS is virtually insoluble below 200°C, it can be attacked by chlorinated hydrocarbons. 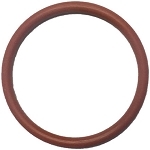 The silicone O-ring matches the temperature and chemical qualities of the PPS. In addition, it is resistant to sunlight, ozone, oxygen, and UV light. The chemical stability of the screws does not compromise that of the PPS and the silicone.